Kozhikode: IIM Kozhikode is honouring India’s most celebrated Paralympian Dr. (h.c.) Deepa Malik (Padma Shri, Arjuna Awardee) with the “IIMK National Excellence Award” this Sunday (24th February 2019) to mark the 10th Edition of Peekay Steel Calicut Half Marathon. 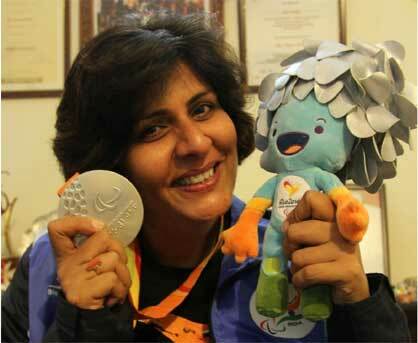 Deepa Malik has been The first ever Indian Woman Para Athlete to win a Asian Games medal in athletics, the first ever Indian woman to win a world championship medal, the first ever woman Paralympic Medallist across any sport ,the only Indian woman athlete to win 3 successive Asian Games. In addition to the above she also holds a world record for open river swimming across the Yamuna River for 1 km against the current and also a record for doing a pan-India drive to promote para-sports in the country to spread the message of “Ability Beyond Disability”. The Institute had earlier announced its plan to create 60 women-only supernumerary PGP seats for its 2019 intake and by having an award given to Deepa Malik shows the Institute’s aspiration of acknowledging the leadership of Indian women.